Roasting corn in the toaster oven is a convenient alternative to firing up the grill or boiling it on the stove, plus it allows you to smother it with butter and herbs during the cooking process. It's especially low-maintenance if you plan on making only two to four cobs at a time. 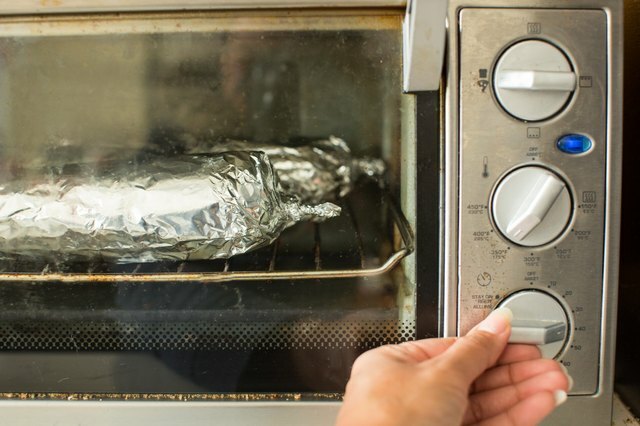 Not only is a toaster oven more energy-efficient than your full-size oven, but using it to prepare your corn will free up your full-size oven to cook your main dish at the same time. 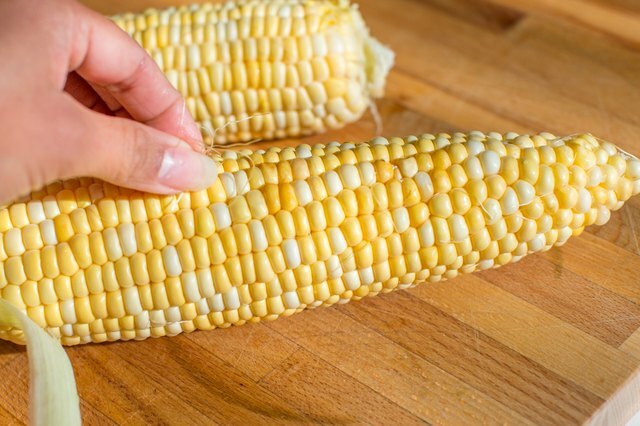 Husk your corn cobs and carefully remove all of the silk from them. Rinse the corn cobs under cool running water to remove debris. Don't dry them off, as the dampness will help keep the corn cobs moist during the cooking process. Place each corn cob in the center of a 12-inch square of aluminum foil; use a separate square for each cob. 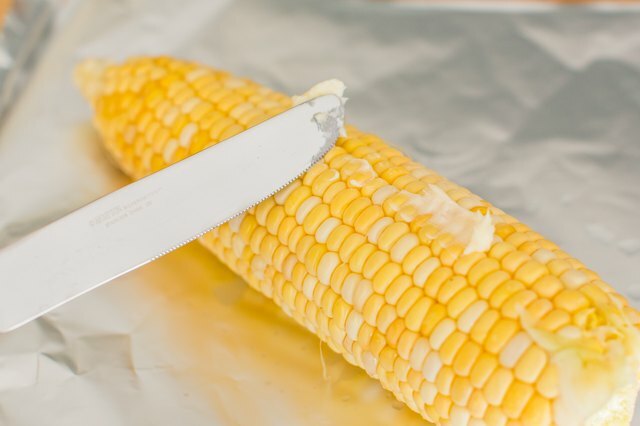 Cover each cob with a dab of butter, if desired, using a butter knife or pastry brush. Sprinkle the cobs with salt and pepper to taste. Add a dash of garlic powder or paprika, if desired. 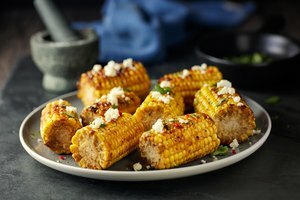 The seasonings will add some flavor and spiciness to your finished cobs. 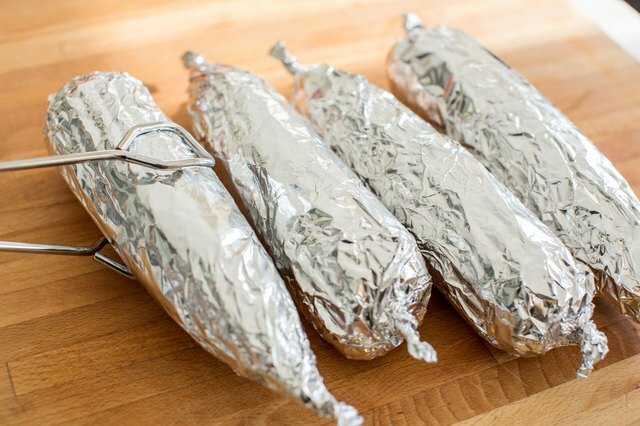 Wrap each cob in its aluminum foil square. Twist the ends of the foil to retain the corn's natural moisture during the roasting process. Place the wrapped corn cobs in your toaster oven, directly on the oven rack, and bake them at 350 degrees Fahrenheit for 40 minutes. 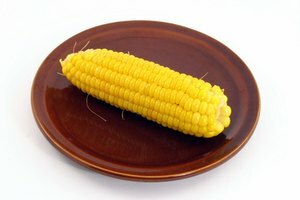 Remove each wrapped corn cob with tongs and put it on a plate to cool for 3 to 5 minutes. Serve the roasted corn cobs right in the foil, or unwrap and plate them just before serving, pouring the butter onto the corn. 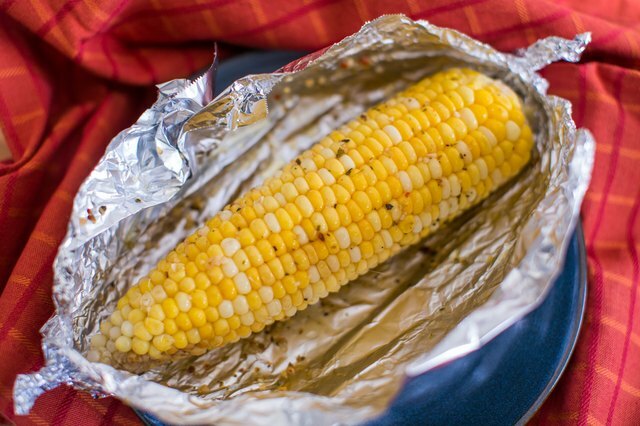 The foil will keep the corn moist and warm until you are ready to serve. Cut each corn cob in half if the cobs are too large to fit in your toaster oven; wrap each half separately in its own piece of aluminum foil. The average toaster oven should fit around two full-size corn cobs, although larger ovens may fit up to four of them. As an alternative to butter, substitute butter-flavored cooking spray or a spritz of lemon juice on each cob. 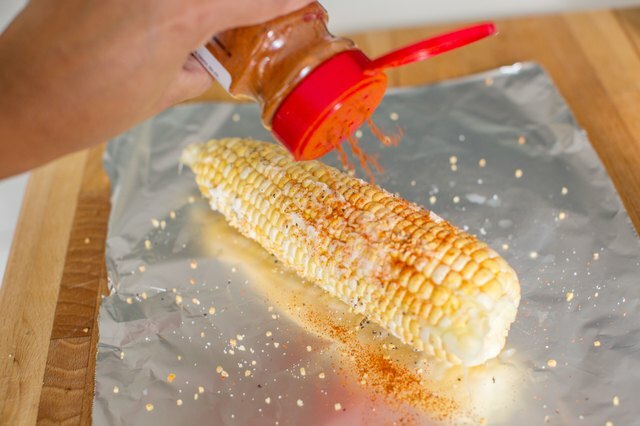 Rub chili powder or hot sauce on each corn cob before cooking to give them a spicy kick. Add four to five fresh sprigs of dill, basil, rosemary or thyme around each cob if desired. If you don't have fresh herbs, add a few sprinkles of dried herbs instead. Use around 1/4 of a teaspoon of dried herbs, in total, per cob. The different herbs will complement the sweetness of the corn and infuse the corn with their flavors. Use oven mitts and tongs to handle the cooked corn cobs, as they will be very hot when they come out of the oven. Big Green Egg Cookbook: Celebrating the World's Best Smoker and Grill; Big Green Egg, Inc.